21 Savage’s new sophomore studio album “i am > i was” (I Am Greater Than I Was) dropped on Friday, and now the Atlanta rapper is back with a new reworked version of the album track “out for the night.” Titled “out for the night Pt. 2,” the track was released as part of the deluxe edition of the album, and features new production from Travis Scott. The 15-song album boasted major collaborations with Childish Gambino, J. Cole, Post Malone, and ScHoolboy Q, but one notable name was missing from the final track list. Travis Scott was originally supposed to appear on the album track “out for the night”, but he apparently missed the deadline to submit his contribution. Instead, 21 Savage has now unveiled a second, updated version with Scott’s verse under the title, “out for the night Pt. 2”. Which means, now, we have 2 versions of this awesome song to listen to. The Atlanta artist proves he’s got depth beyond generic gangsta rap with this track. The bounce is infectious. 21 has this seamless way of working hooks into verses. Everything works in unison. The hi-hats are HITTING. The original version and the Part 2 features the same twanging, minimalistic production except getting better with Travis’ verse. You can find yourselves repeating the phrase “out for the night” with a cadence as well. 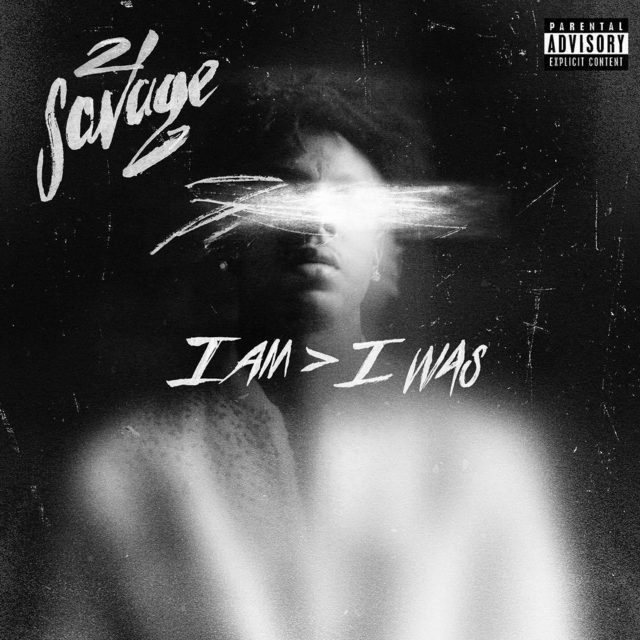 Overall, 21 Savage’s new record, “i am > i was”, makes for an interesting experience. While the majority of Savage’s songs have some level of lyrical grit to them, there are moments where he opens up to more emotion, incorporating elements of sorrow, love, and anger. “i am > i was” is at its best and most dynamic.